With the makeup contest closing at the end of the upcoming holiday weekend, today seemed like the perfect opportunity to fill you with makeup information and inspiration! Whether you're not quite sure how to get started or what style you'd like to pursue, this post will be your ultimate guide! Let's cut right to the chase. 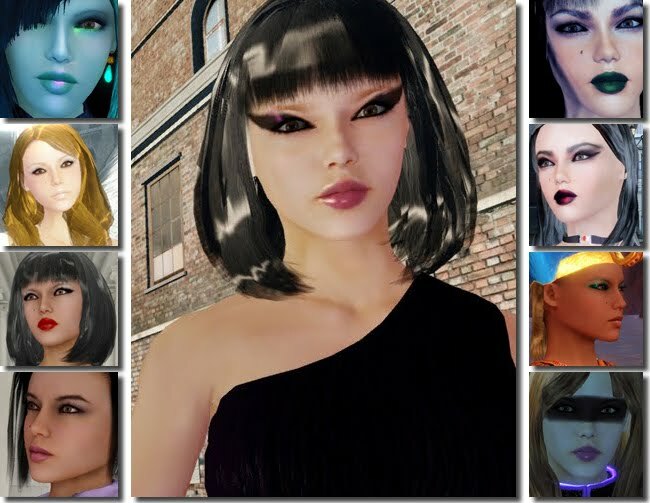 First off, here's an excellent video tutorial by Marlii Revolution about creating and editing your cosmetic layers in Blue Mars' face editor! When you feel ready for something a little more advanced, check out her wicked zombie makeup video tutorial too! And of course, the most important tip of all for this contest -- Export and share your Blue Mars cosmetics! Don't forget, here are only 5 days left to submit your makeup contest entries for a shot at BLU$ prizes and fashionista fame! Remember to post to Plurk or Facebook and then email me to enter! Check out all the details here.